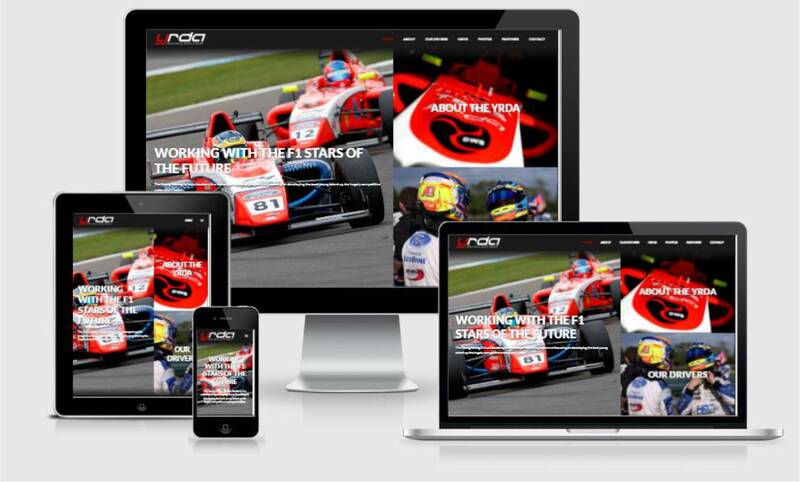 MDM Designs create motorsport website designs for racing drivers and teams to promote their brand and showcase their profiles on the world wide web. 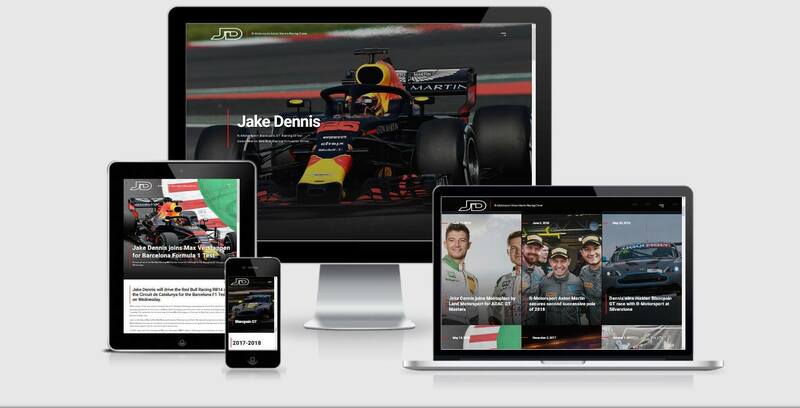 The best way to promote your career or team is to have an online presence, MDM Designs understand how crucial a good website is to engage visitors and partners to join you on your journey, or be a part of your team / brand. 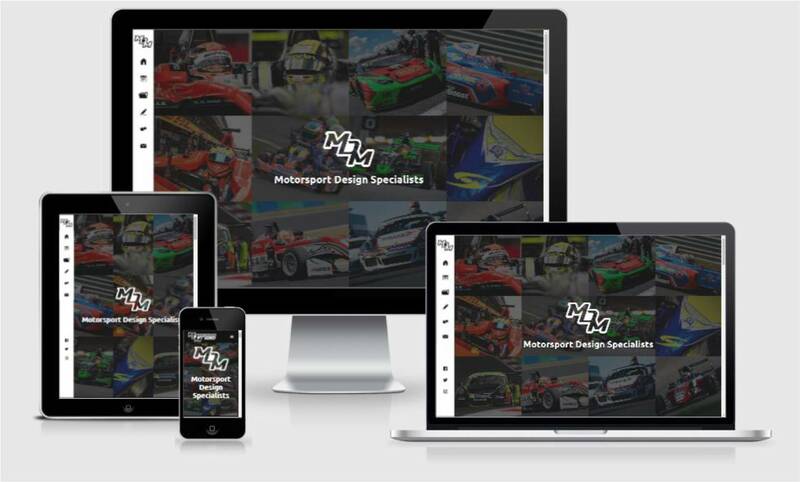 Responsive websites are essential for displaying your content that sizes to all devices - whether it be a Desktop / Laptop, Tablet or Phone (Landscape and Portrait), this is why MDM Designs now purely focus on creating responsive designs to enable the best possible visual experience of your site by any audience. 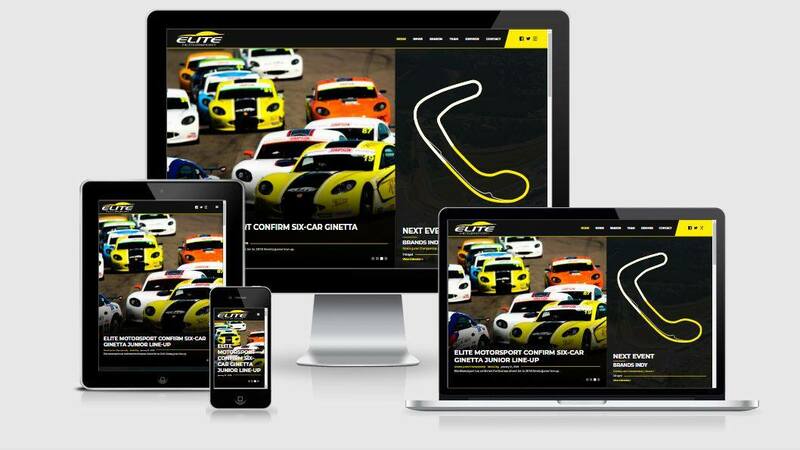 Responsive CMS Motorsport Website Designs are created for drivers and teams all over the world to create their perfect online Racing Website Image. MDM Designs can design websites containing a Content Management System (CMS) which allows users to access their website and make changes online themselves with ease and speed. The CMS allows for the ability to edit content on screen, like viewing content on a live website - as well as adding, editing and removing various editable content. 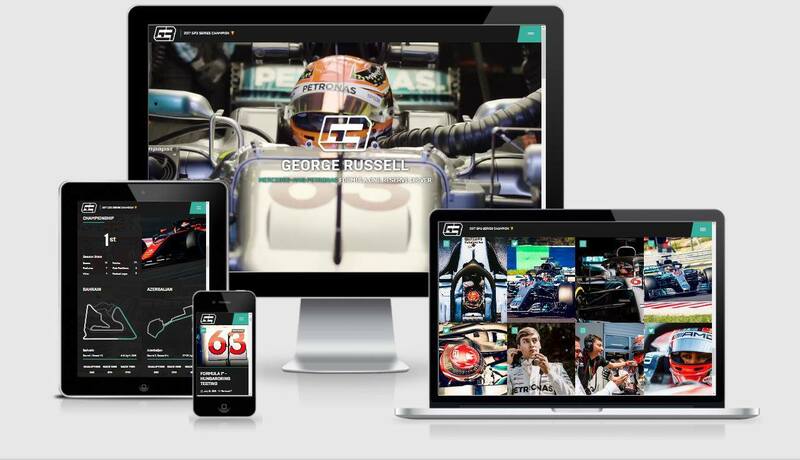 Items that can be modified in the CMS include but are not restricted to: Press Releases, Race Reports, Galleries, Images, Blog Posts, Partner Information, Calendars and more. Support for this is provided in the cost for a CMS website. The design style of your website is a process we take very seriously - as there is so much scope in website design, we work with the client to find out the sort of look they want and move onto creating a 'Website Prototype' before any of the website build commences. This allows us and the customer to find a common ground working with a visual representation of how their website will look. The website prototype modifications with take place until the client receives a final design that they are happy with, which we then utilise in creating an building the actual website. With the prototype confirmed, the website build now commences. 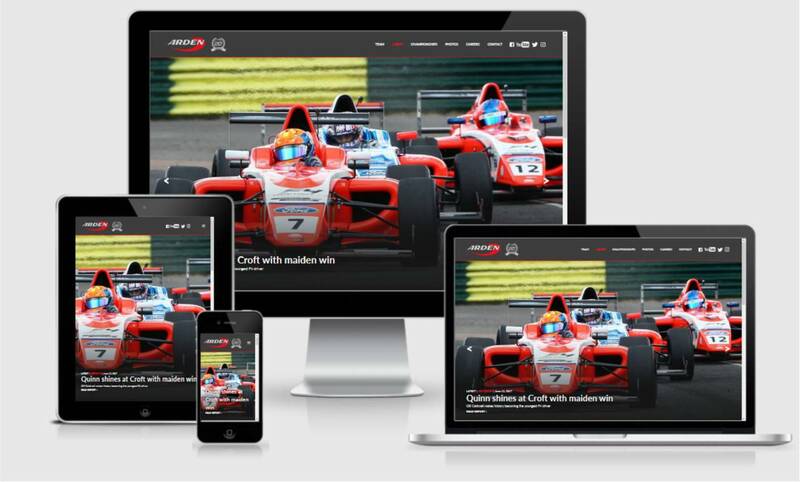 The site is created to replicate the prototype and built as a responsive site to work cross-device. This website is hosted on a test domain, which we will send to the client at various build stages and at request so they can preview the site online as if it was live. This allows the client to provide even more feedback on the design and functionality of the website, help us identify any bugs and any further essential requests. Once it is all confirmed in the website build, we will set up key website maintenance tools such as Google Analytics, Opengraph tags for social sharing and the setup of contact forms if required in the website. If the client has a website with CMS, this is all configured and access to this is supplied to the client. Search Engine Optimization (SEO) is carried out on the website pages, as well as behind the scenes with Google Webmaster tools to ensure your site will display well in Google and search engines over time, following launch. 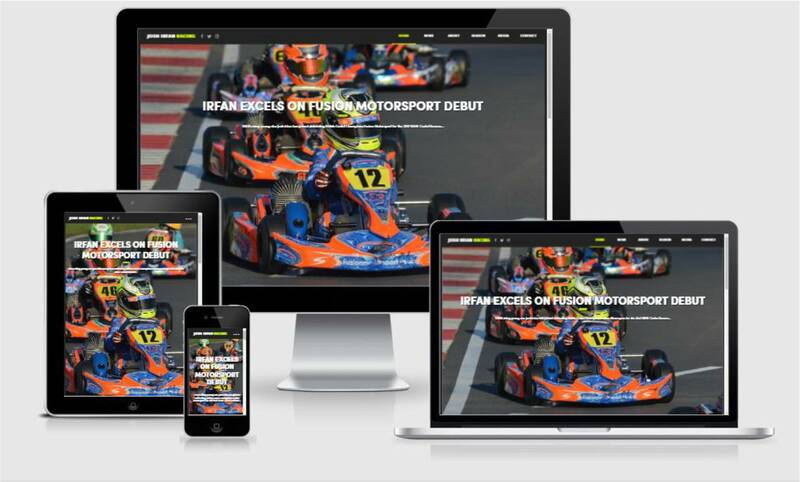 Your new website is then able to be launched. Prior to launching, we can either get the desired domain name you require for your site if you don't currently own one, alternatively we will need to alter the DNS information in where your current domain is hosted so that your site appears as desired in the correct domain and URL. We host the sites with an SSL certificate in order to help further increase SEO benefits alongside visitor security. Once the site is launched, we will provide support for the website if required on editing content, using Analytics tools, CMS assistance and general website related questions. A range of these are found in our FAQs page. The price for a website varies depending on the amount of content on the site, alongside the build time and any additional features such as Galleries, Social Media Feeds and other specific integrations such as Career Submissions forms, Live Chat and more. Prices can range from £400 and upwards! With the majority of sites between the £600-£3500 range. The price depends on the amount of features, pages and overall time to complete the design and build of your new website. The average time-frame for website completion is between 2-6 weeks from the confirmation of the design prototype. Design prototypes are usually completed within 7 working days from the date of request, once all necessary information is provided. The time-frame for website build completion, is dependent on the size of the website, as well as the time of the year - depending on workload volume. Want to find out more? Please contact us with your requirements and we can get the ball rolling on website design discussions and provide you with a solid quote for the website based on your design specification.